Learn GMAT Critical Reasoning using Proven Techniques to Boost your GMAT Scores! Scroll below for your Free session on the 5 traps of GMAT CR! Are you confused between the last 2 options on GMAT CR? Do you end up not knowing what is "out of scope" on CR? Are Bold-faced questions a nightmare to solve on the GMAT? Is finding the assumption based on a hit-or-miss technique? If you answered with a "YES" to any of the questions above it is because you have been looking at CR in the wrong way! You may be very analytical in our approach to things in daily life. Maybe your job predominantly involves you critically analysing data. However, you will realise the on the GMAT the CR is designed to trip you over. Hence, it is important that you cultivate a healthy dose of both objective analysis and subjective interpretation of data - perhaps the most difficult tightrope walk on the GMAT. This course has the same structure and methods that are covered in our classroom coaching sessions. It is tailored to ensure that you do not fall for the standard traps that GMAT sets for you. Watch the free video - I am sure you will be able to relate to the 5 common traps on GMAT CR. 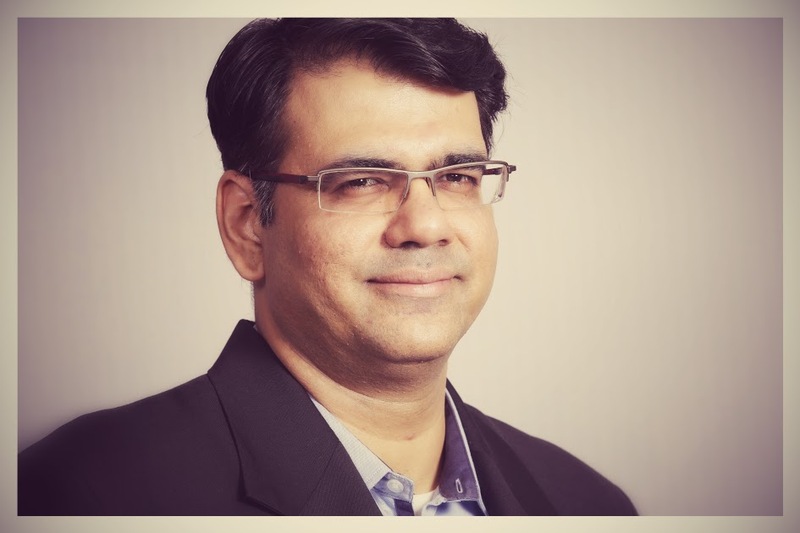 Considered one of the leading GMAT experts in the world, Arun brings with him over a decade of experience teaching various aspects of the GMAT. As a 99th %ile scorer himself he understands what it takes to crack the test - the concepts, the techniques, and the strategies. 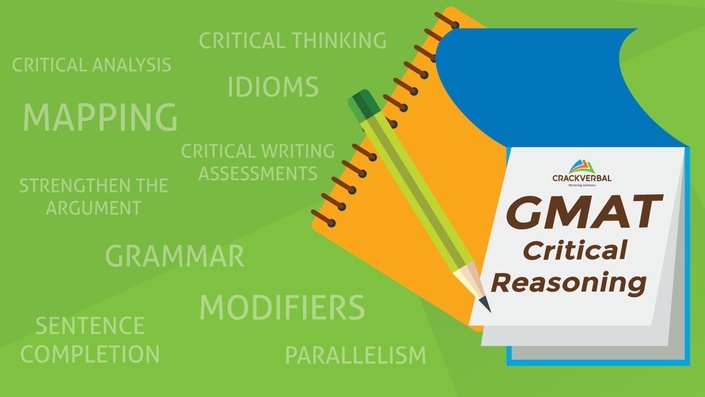 "CR classes enabled me with the right inputs to tackle any question type with ease. I changed my opinion that question types such as Boldface, Mimic reasoning, Except etc. I used to run away from these questions earlier and now these were my preferred questions"
How does a full-year access sound? After enrolling, you have unlimited access to this course for a whole year - across any and all devices you own. What do these GMAT Videos contain? All HD videos have been shot exclusively with Arun and cover all aspects of the GMAT Verbal so you don't need anything else. 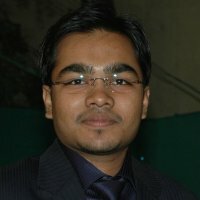 Apart from theory, Arun will also take you through the process of applying those concepts to solve real GMAT problems. I don't have a Credit Card how do I purchase? Please call us on 900-8166-800 or email us on [email protected] and we should be able to assist you with some alternative payment methods. 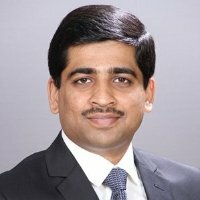 How do I get my queries about GMAT and MBA answered? You can always participate in our CrackVerbal Forums to discuss your queries and get them answered by our experts. A step ahead, you can also mail your queries or call us on our support number. Once you enrol for our course you will be receiving all these details. Do I need to buy any other books? Though the videos and practice questions should be more than enough, we still recommend you to buy a copy of GMAT Official Guide for additional practice. Do you ship your Course Material for this course? The videos have been shot with the intent that you do not need any other book. Not even our own. However, we are happy to ship you a copy of the GMAT Strategy Guides at an additional cost if you want. How do I complete this GMAT course with my busy schedule? We understand you have decided to take the GMAT after making sacrifices - both personal and professional. So an important focus of the course is make it easier for someone working crazy hours by keeping him/her on the straight and narrow. If you follow our guided study plan you cannot go wrong! How different is your GMAT OnDemand course from your GMAT classroom coaching? Well, if you opt for the online course, you can watch the course videos from your home, office or a café instead of sitting in our classroom. Really –that is all the difference there is, between our regular sessions and our online course! The instructor, the content covered, and the access to the support system (forums, emails, phone) will all remain the same. How is the GMAT Verbal Course structured? 2) Application Videos in which you will be shown how to solve GMAT-standard questions using the concepts you have learned. 3) Practice questions to hone your skills so you can quickly ramp up from being a novice to a ninja! Can I reach out to someone to discuss more about this GMAT Course? Sure! You can mail us on [email protected] or call on 900-8166-800. We are glad to answer your queries real-time. What prior preparation is required before joining this GMAT course? Not much. The course will start from ground zero and quickly build up to help you solve really tough problems. So don't worry - just get started. How are you different from competitor X? Firstly, most test preparation institutes are modeled after US training programs which are meant for native speakers of English for whom math is a problem area. We are the FIRST to understand this difference and use specialized techniques to address this. Secondly, this course is taught exclusively by Arun Jagannathan, who is considered one of India's finest GMAT instructor. Don't take our word for it - watch the videos and decide for yourself. Thirdly, as we are based out of India - you can expect support during India hours - especially over the phone. This is a huge advantage when you want real-time support. What are the GMAT Strategy Sunday Sessions? Roughly twice a month, we conduct a Live Verbal Online Advanced class, which is available to all our students – both classroom program and on-demand program. These sessions are meant for students who are clear on their fundamentals and want to head towards the next level. These online advanced classes provide analysis of tough concepts such as bold-face in CR, meaning-based questions in SC, and big picture questions in RC, through tough 700+ level problems. Upon enrolling for this course, you will receive an all-acess pass to all the videos recorded from May 2012. Do you provide any mock tests? However, we are working on our testing platform http://gmatonthego.com and it should have 2 full-length tests. This would be made available free to all students enrolling for this program. Can I speak to your past students for their feedback and experiences? Our students are our brand ambassadors and many of them freely provide their advice online. But it is not possible for us to make their personal phone numbers available. So your best bet is to ask this questions on various forums. The testimonials provided on this page have links to the debriefs of each of the students. You may want to read those to begin with. We started in 2006 and now incorporated into CrackVerbal Edutech Pvt. Ltd., head-quartered in Bangalore. We have catered to over 4000 students and have 4 centres spread across Bangalore (Infantry Road, Koramangala, Marathahalli) and Chennai (Adayar). We are one of the fastest growing GMAT prep company in India. We are also featured inYourstory and plugged.in! How long after the GMAT Course should I take my test? We suggest roughly 2 months of prep for Verbal alone. There are other factors that will determine when you should take the test. Firstly, you current level of prep is a important factor to assess how much more time you need. Secondly, your performance in Quant is another factor that has to be kept in mind. Taking a GMATPrep test is a good way to get a better picture of where you stand. Do you provide MBA Application assistance? What has been the average GMAT score of your students? Honestly speaking - it is very easy to fudge numbers. We also depend on students coming back to us to report their scores so might not have the correct data at all times. Can you list out all the videos I will receive? You can just go through each individual course to see the list of videos that will be made available on subscription. These videos will be greyed out now but upon enrolment you will get instant access to the entire video library. Is there a Score Improvement Guarantee? We do not offer a score guarantee to our students. We find that a student's success has everything to do with the work they put into the class. We provide an abundance of resources, along with 20+ hours of class time, and an instructor who is committed to their success as well. It is then up to each individual student to make good use of them and to reach out to our Support team when they are not making the progress they want to see. If students are attending every class and doing the 10-15 hours of homework each week, we are confident that they will get the score they need. There are 3 types of students who derive maximum advantage from our course. "Learning CR the way teaches is what really did the trick. I started seeing the difference after the classes as it improved my confidence. CR was no longer about "figuring it out". There was a method to the madness!"